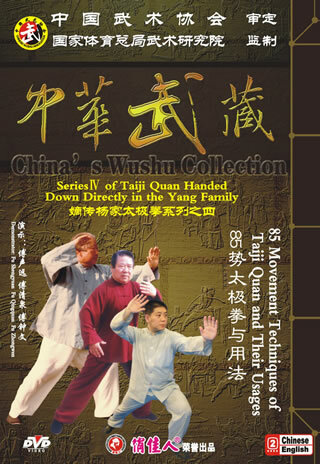 Yang-style Taiji Quan is a genre of Taijiquan. It was created by Yang Lu-chan who was born in Yongnian County Hebei Province, his son Yang Jian-hou, his grandson Yang Cheng-fu and other persons, based on Chen-style old frame. The fist frame of Yang-style Taiji Quan has characters of extending, concision, strict structure, straight body work and harmonious movements. It is both swift and calm. In practice it is a blend of loosing and softness, hardness and softness which is its distinctive style.